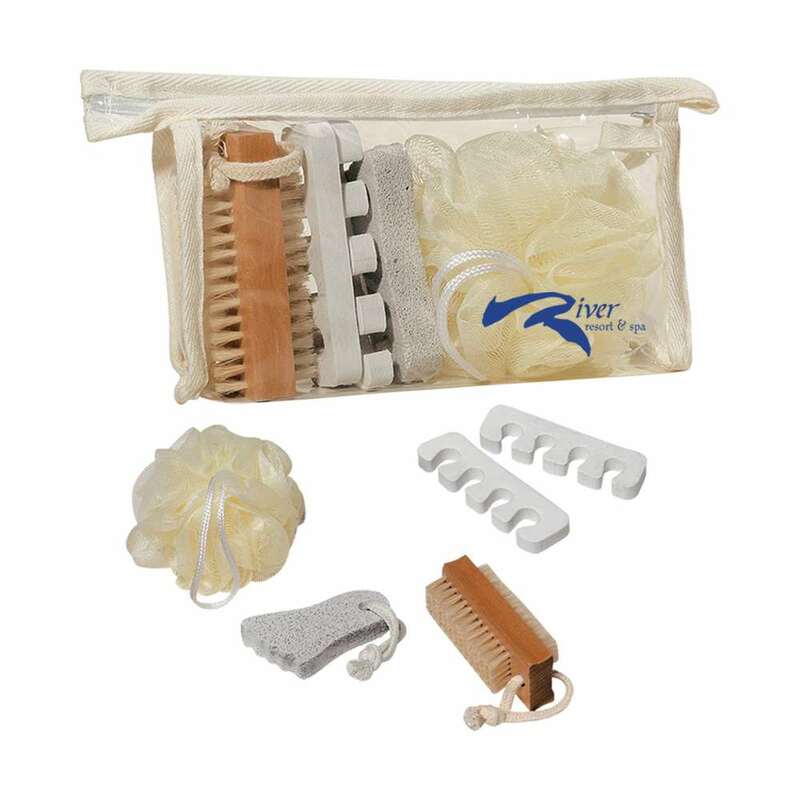 Find all that you need to keep your feet clean and smooth in the Small Foot Care Kit. It includes a lower net bath sponge, toe separators, a foot-shaped pumice stone and a two-sided nail brush. Find all that you need to keep your feet clean and smooth in the Small Foot Care Kit. It includes a lower net bath sponge, toe separators, a foot-shaped pumice stone and a two-sided nail brush. The products are encased in a clear plastic bag, with natural trim. Imprint your business logo on the pedicure kit using standard silk screen colors. Give away the kit at spas, parlors and to any business dealing with foot care, to enrich your brand’s image.